Get active and save up to US$3,100 on World Expeditions' Antarctic Sale. Choose between a 30 day historic voyage following the routes of past explorers, a 12 day base camp expedition, with free camping, kayaking, mountaineering, hiking and snowshoeing – or something in between. On the 30 day Ross Sea Explorer - Footsteps of Scott & Shackleton, which departs Invercargill, New Zealand on 10 January 2018 and 08 February 2018, you'll save US$2,230 on a main deck twin room, now US$20,070 per person, reduced from US$22,300 or save US$2,400 on a superior room, now US$21,600 per person, reduced from US$24,000. This expedition is the ultimate Antarctic voyage in one of the most remote regions in the world and is only accessible for two months each year when the ice thaws. Visit historic huts of the early explorers including Scott, Shackleton and Amundsen. 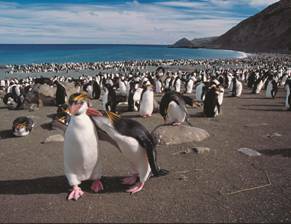 Voyage through the breeding grounds of Adelie and Emperor penguins, and enjoy landings on the Sub-Antarctic Auckland, Campbell and Macquarie Islands. Save up to US$2,150 per person on the 11 day Antarctic Experience, which departs 6 December and costs from US$5,750 per person (down from US$7,200 per person). An ideal introduction to the Great White continent, see albatross and petrels as we cross the Drake Passage when the first huge icebergs come into view, along with a wide variety of wildlife including seals, whales and an abundance of penguin and other birdlife. 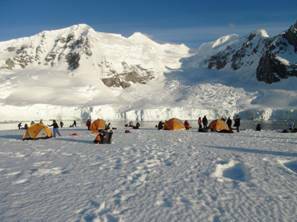 For the ultimate active experience in Antarctica, board the 12 day active Antarctic Basecamp Cruise, which includes camping, kayaking, mountaineering, hiking and snowshoeing. Departing 4 November, you'll save between US$1,600 on a quad porthole room (reduced from US$7,950 to US$6,350 per person and US$2,350 (reduced from US$11,850 to US$9500 per person on a superior room. Other trips on sale include the 15 November Weddell Sea - In search of Emperor Penguins (save up to $3,100) and the 29 November Falkland Islands, South Georgia and the Antarctic Peninsula (save up to $1,200). Join World Expeditions' Antarctic experts at free information nights in Melbourne (4 May), Brisbane (10 May), Sydney (18 May) and Adelaide, (23 May) to hear about the suite of Antarctic expeditions. Offer valid until cabins are sold out; however availability is limited. Call 1300 720 000 or visit www.worldexpeditions.com for full terms and conditions.